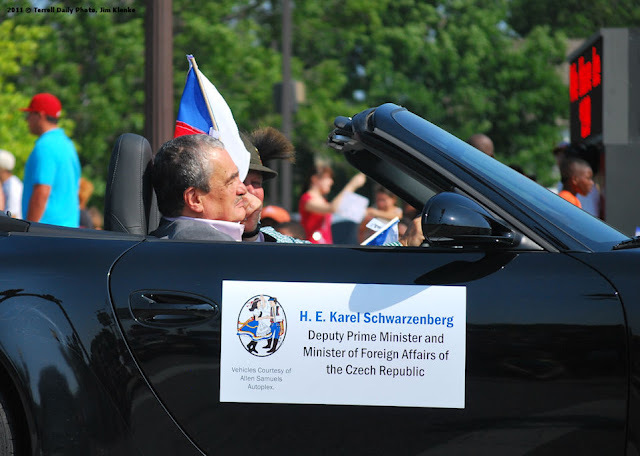 The Grand Marshal for the Polka Fest Parade in Ennis was H. E. Karel Schwarzenberg, the current Minister of Foreign Affairs for the Czech Republic. The baseball playoffs continue. Poteet won their one game playoff Friday night. Waxahachie was eliminated by Rockwall Heath Saturday. The Region 2 Regional Final will be Poteet vs. Heath in a best of three at Duncanville beginning Thursday night. Of the 8 teams remaining in 4A, Terrell played 3 of them this year. They went 0-2 against Poteet, and 0-1 against both Heath and Burleson in the I-30 Tournament.